Product prices and availability are accurate as of 2019-04-16 14:54:17 UTC and are subject to change. Any price and availability information displayed on http://www.amazon.com/ at the time of purchase will apply to the purchase of this product. 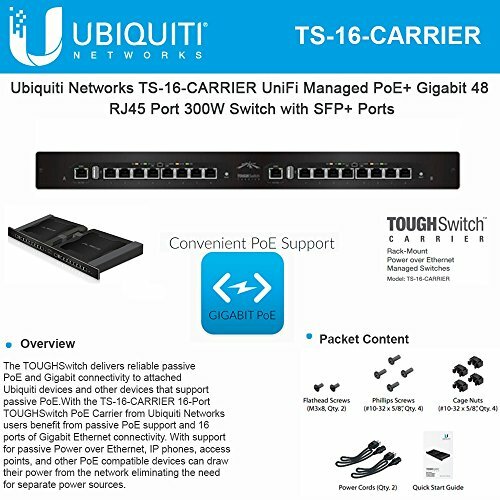 TOUGH Switch PoE delivers reliable passive PoE and fast 10/100/1000 Mbps connectivity to attached Ubiquiti devices and other devices that support passive PoE. To connect your PoE devices, simply enable PoE in the easy-to-use TOUGH Switch Configuration Interface. 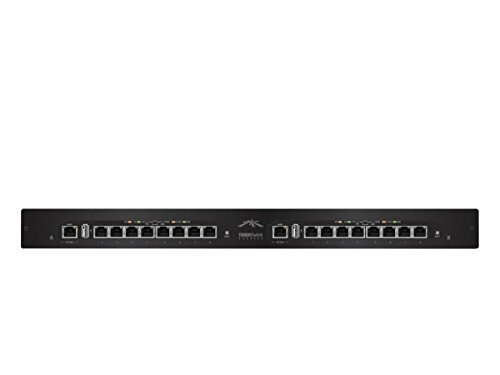 Each port can be individually configured to provide PoE, so both PoE and non-PoE devices can be connected. 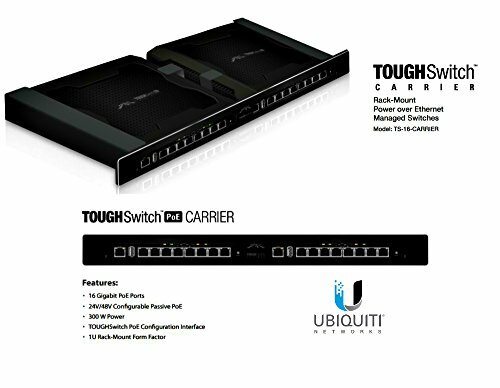 TOUGH Switch PoE CARRIER features dual TOUGH Switch PoE PRO systems in a rack-mountable, 1 U form factor with 300 W of power supporting up to 16 devices.